Headlines, hot news, and conversation starters on August 29, 2016! 1 Over the weekend, Isabelle Daza jetted off to Bali to celebrate her last few days as a single woman. 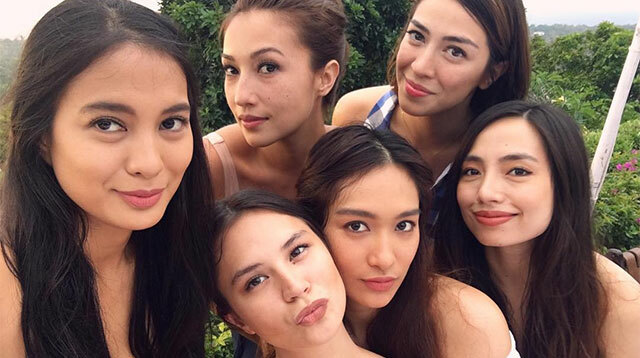 Who better to send her off to married life than her barkada of famous faces? At one point, the It Girls even wore matching bathing suits! Check out the hashtag #BELLEchorette to see more of Belle's Bali bachelorette celebration! 3 ICYMI, Britney Spears FINALLY agreed to do Carpool Karaoke with James Corden and the Internet went nuts! Unfortunately, Brit wasn't as stoked about the experience as we were. In an interview, the Princess of Pop admitted "it was a little awkward..." Apparently, Britney has grown tired of "Baby One More Time" and "Oops!...I Did It Again" but James insisted on doing them. Yikes! 4 Kanye West just had a private exhibit of the super controversial celeb wax figures featured on his "Famous" music video. Is anyone actually surprised? LOL! 5 Justin Bieber and his rumored new flame, Sofia Richie, are currently vacationing in Cabo, Mexico and they just can't keep their hands off each other!